Data acquisition & general race car electronic systems. Ginetta Cars - manufacturer of the G20, G40, G50 & G55 race cars. Our North American distributor and installation agents. Contact Nicholas Belling. Affordable engine management systems - does what it says on the tin! Do they need any introduction? DJ Racecars – Aerodynamic wing specialists & creators of the "Firehawk" and "Firestorm" hillclimb cars. Our French distributor and installation agents. Contact Benoit Dametto. European distributor for Saenz gearboxes. 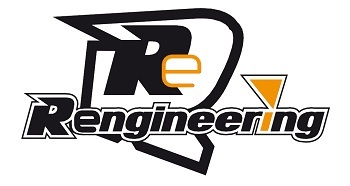 Professional Austrian race team running in AutoGP, GP2, and other high-end series. PC & embedded control software of the highest order. Page last updated 26th March 2018.